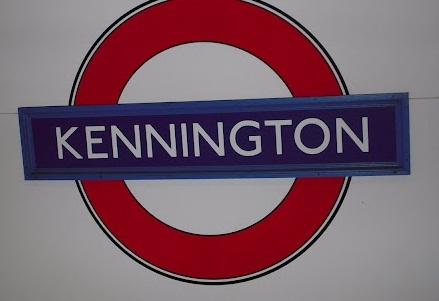 Kennington was recorded as Chenintune in the Domesday Book and is derived from the personal name of the Saxon Сеnа and Old English tun, 'a farm' - therefore it means 'the farm of Cena' an early inhabitant of the area. It was recorded as Kenigton in 1275. Prior to the station's opening the name of NEW STREET was proposed, but it was opened as KENNINGTON on 18 December 1890.